The inventors of the Ultimate Workout and Recovery (UWAR) Complete Home Gym started with just a product. They realized the need to create an all-in-one exercise unit that could be used by mobility-challenged individuals – particularly with conditions or injuries that required them to be bed-bound or wheelchair-bound. With that goal in mind, they invented the UWAR Complete Home Gym. However, the euphoria they felt in designing and producing this product soon turned to a sense of frustration when they realized that many of the individuals who needed their product the most, could not afford it. As a result, shortly after UWAR’s formation in 2015, its founders in consultation with engineer Vladimir Feldman, formed The In Bed and Chair Recovery Foundation, a federally registered 501 (c) 3 non-profit organization, to provide these units to those with limited financial means. The home-based rehabilitation and fitness equipment used in this pilot will be provided by Ultimate Workout and Recovery (UWAR). Based in Ohio, this organization produces the UWAR Complete Home Gym. IBCR is the charitable arm of Ultimate Workout and Recovery The goal of the foundation is to provide UWAR Complete Home Gym’s to individuals with disabilities, and limited means. Who Needs the UWAR Complete Home Gym? The UWAR Complete Home Gym benefits wounded warriors and veterans, athletes, paraplegics and spinal cord injury patients, as well as bariatric patients, cancer and immune-compromised patients. However, it can also be used by stay-at-home mothers, caregivers, occupational and physical therapists, senior centers, nursing homes, veterans’ hospitals, rehab clinics, fitness enthusiasts, personal trainers and chiropractors. 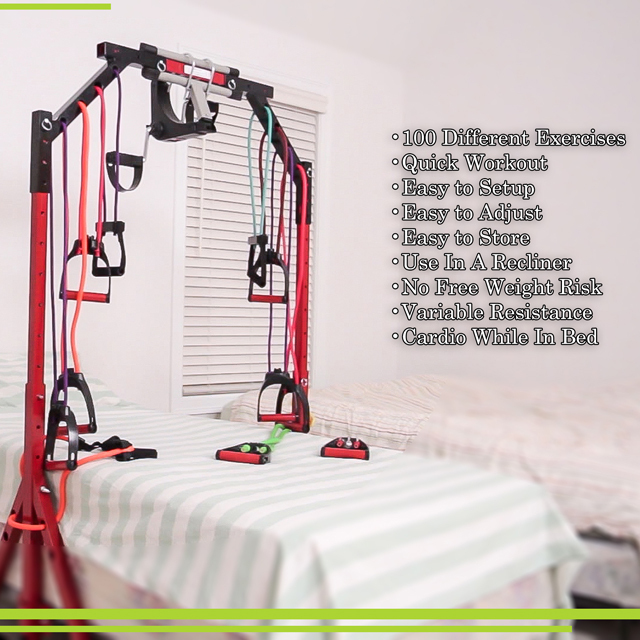 CARDIO AND MUCH MORE WHILE IN BED OR CHAIR USING OURUNIQUE CUTTING EDGE COMPLETE AND ADAPTIVE HOME GYM! 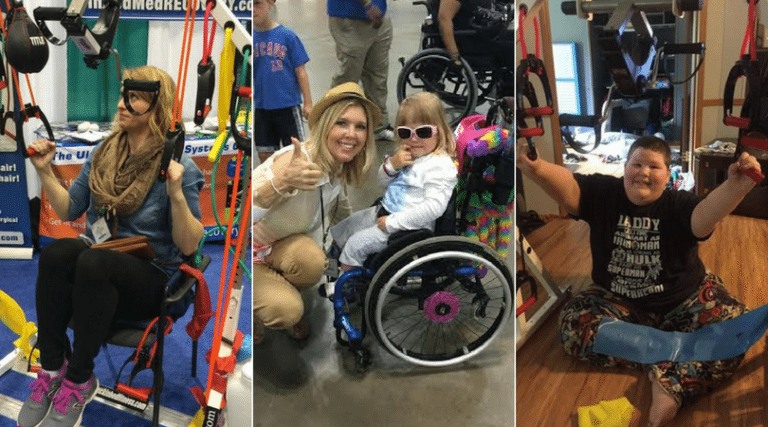 One of the first recipients of this adaptive home gym was KJ. Just a week after he graduated Kindergarten, KJ was stuck by a car and suffered a spinal cord injury. Even that devastating accident couldn't keep this big-hearted boy down for long. Despite the concussion, lung collapse, internal bleeding, and of course his shattered spine, KJ pulled through and is now an honor roll student at school. Always a sports enthusiast, he plays with the Mississippi Wheel Cats, and participates in wheelchair basketball camps, This past year he received Defensive Player of the Year! His natural ability, cheerful attitude, and intelligence will drive him to succeed in life despite his unfortunate accident. His motto is PUSH ON KJ! Enter the In Bed and Chair Recovery Foundation. The IBCR heard about this remarkable young man through an application sent over and it is thanks to Greenbee Fundraising that that the IBCR Foundation decided to donate the Ultimate Workout and Recovery (UWAR) Gym to this dynamic 12-year-old. He took to the equipment immediately and is using it often to obtain a no impact total body workout. According to a message sent to IBCR "KJ really loves it! We have a big tournament in Atlanta...Gonna spread the word!" Combining the cutting edge technology of the In Bed and Chair Recovery (IBCR) Foundation with your reputation and integrity, we can reach thousands who will benefit from our joint philanthropic efforts. We invite you to join our efforts to make total body fitness available to those in bed, wheelchair or chair due to mobility issues short or long term, regardless of their ability to pay. epilepsy, lead poisoning, leukemia, or diabetes). 6-8% dealswith autism, intellectual disabilities, developmentaldelays, or emotional disturbances. 2% have multiple disabilities, hearing impairments, orthopedic impairments, visual impairments, traumatic brain injuries, or deaf blindness. 250,000 Americans are spinal cord injured. 52% of spinal cord injured individuals are considered paraplegic and 47% quadriplegic. Approximately 11,000 new injuries occur each year. 56% of injuries occur between the ages of 16 and 30. The average age of spinal cord injured person is 31. Only 52% of SCI individuals are covered by private health insurance at time of injury.